Earthquake Prediction: 5.0R in Bolivia <--As predicted! 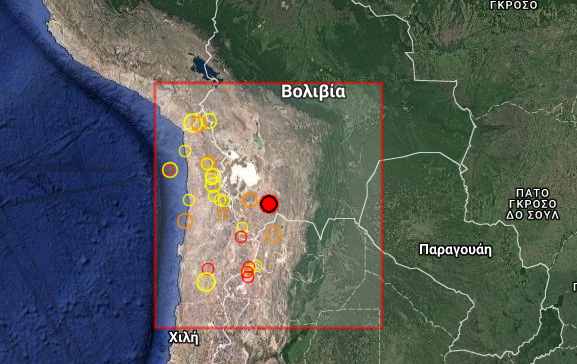 5.0R in Bolivia <--As predicted! We did warn about Bolivia it looked to us as having received a lot of stress and we worried of a stronger event. Today it seems a 5.0R giving some sressreleif in this region. We expected this today at coordinates (22.4S, 67.4W) The error is less than a degree we think this is good coordinate prediction. Lets hope this is all for Bolivia.